Preheat oven to 450° F. Place crust on pizza pan or cookie sheet, and bake for 5 minutes. 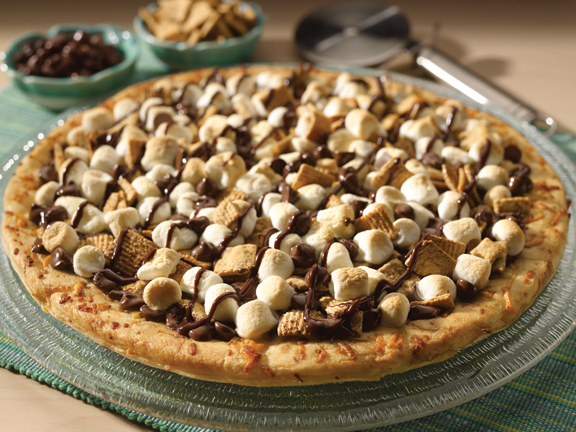 Remove crust from oven and top with chocolate chips, graham cereal and marshmallows. Return to oven for 5 – 6 minutes until marshmallows are lightly toasted and chocolate is melted.